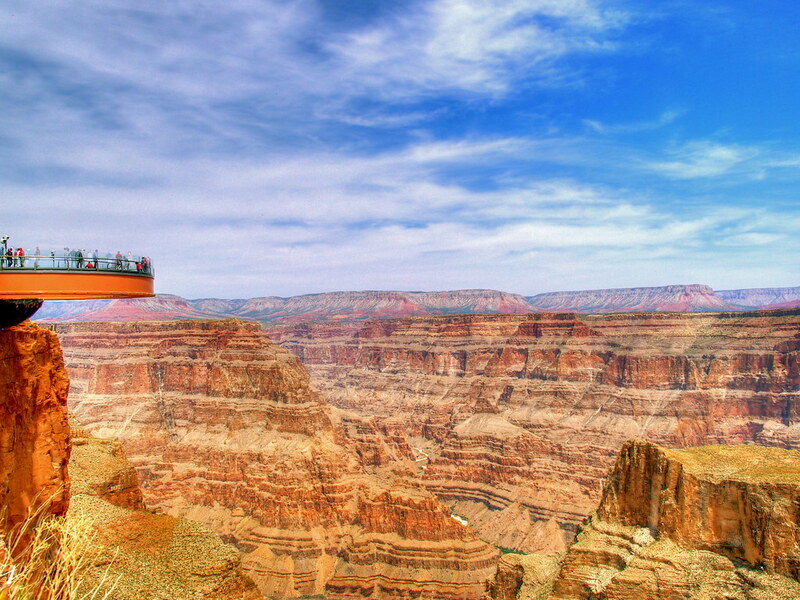 The current clash between the Haulapai tribe and a Las Vegas businessman over the future of the famed Skywalk at the Grand Canyon calls to mind skirmishes over control of the Grand Canyon tourist trade that go back more than a century. Disputes between mining-claim-holders-turned-tourism-operators and the Fred Harvey tourism concession arm of the Santa Fe Railway (the latter eventually backed by the nascent National Park Service) and tensions between the Havasupai and the Harvey Company could already be seen in the early 1900s. One hundred two years before the Skywalk opened in 2007, the Harvey Company’s Hopi Houseserved as a showcase for Hopi handicrafts just feet from the precipice of the canyon. At Hopi House, the railroad engaged Hopi Indians to imbue its resort with the cultural authenticity for which American tourists thirsted. The current dispute is a reminder of the enduring contested nature of places transformed by the tourism industry and of the continuing struggle that tribes wage to bend tourism to their advantage.